We already knew the consultants from itelligence. We know that they understand our type of company and the complexity of a global business. 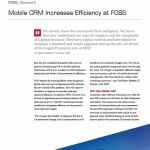 They have a good outlook and have helped to maintain a standard and simple approach during the roll-out of one of the largest IT projects ever at FOSS. FOSS produces analysis- and measuring instruments for the Food and Agricultural industry as well as for the Chemical and Pharmaceutical industry. 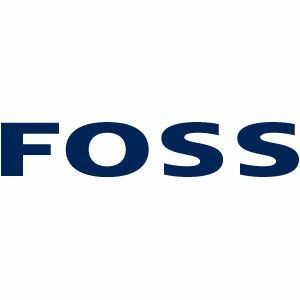 FOSS has more than 1,300 employees all over the world and sells their solutions through more than 28 subsidiaries. In practice, sales staff and technicians now take the new SAP system out with them on their telephones and tablets. This means that the entire control process will become faster and more transparent. Around 600 employees working in the field will save time on administrative tasks which do not generate value, therefore freeing up more of their time to spend with customers. NKT is a global front-line supplier to the energy sector that develops, manufactures and markets high-quality cables, accessories and solutions for electrical infrastructure, the construction segment and the railway industry. The BPC training project at DuPont in Copenhagen was executed as a 30 day BPC trial, where the EPM team members at the former Danish-owned company Danisco received training in the BPC software. The it mds solution automates the process whenever Nilfisk-Advance creates and modifies material in SAP. The company thus saves time and cuts back on human errors made each year.